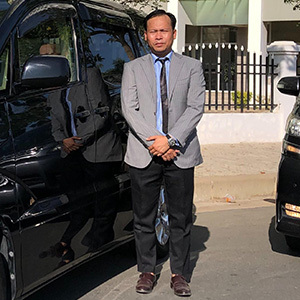 Greeting you with our tour guide and luxury transportation driver featuring VIP uniform. Transfer you to check in at the hotel and take a rest. Flexible time to start your tour in the morning to visit small circuits. There are Angkor Wat temple, South Gate of Angkor Thom, Phimeanakas, Bayon, Ta Prohm, Terrace of the Elephants and Terrace of Leper King. Take a rest for lunch in local restaurant. 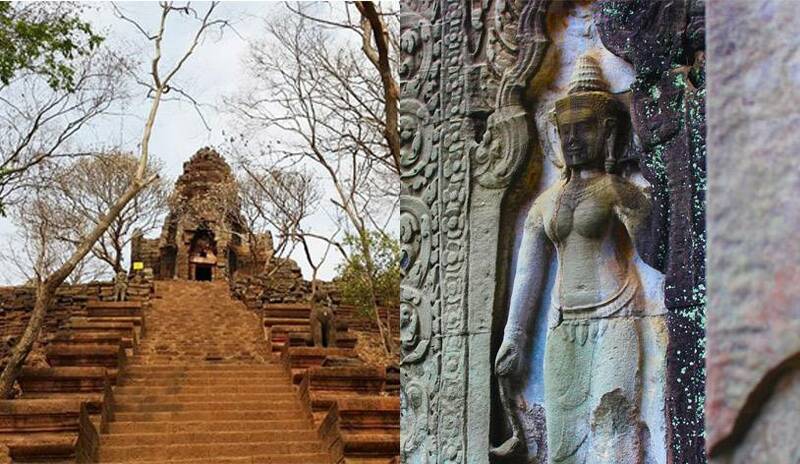 Continue your trip to visit Chau Say Tevoda, Thomanon, Ta Keo, Ta Prohm, Banteay Kdey and Srah Srang. You will enjoy a magnificent sunset at Bakheng or Pre Rub. Our driver will pick you up at the same time after you check out from your hotel in the morning. 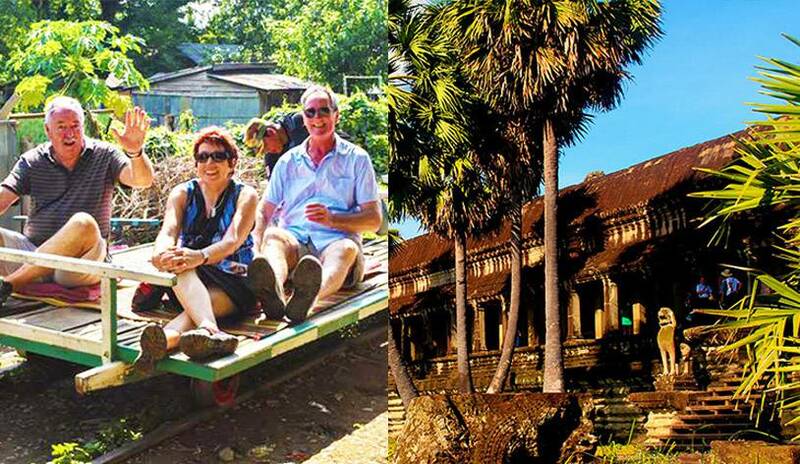 You will start your trip to visit Banteay Srey temple, Roluos Group (Preah Ko, Lo Lei and Bakong temple). 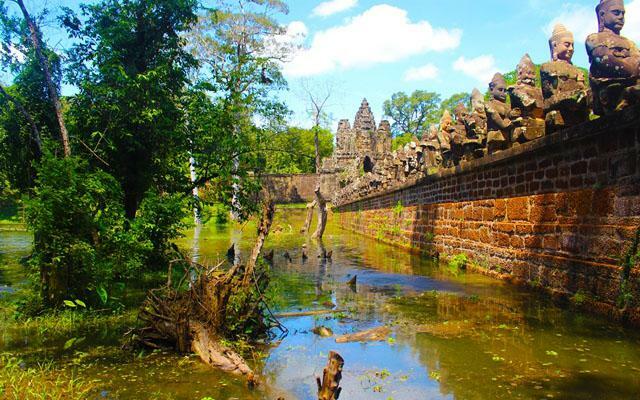 Roluos Group is an example of magnificent construction before Angkor Wat. After you finish your temple sightseeing, you will take a rest for lunch. You will carry on your trip to Kampong Phluk floating on Tonle Sap Lake. 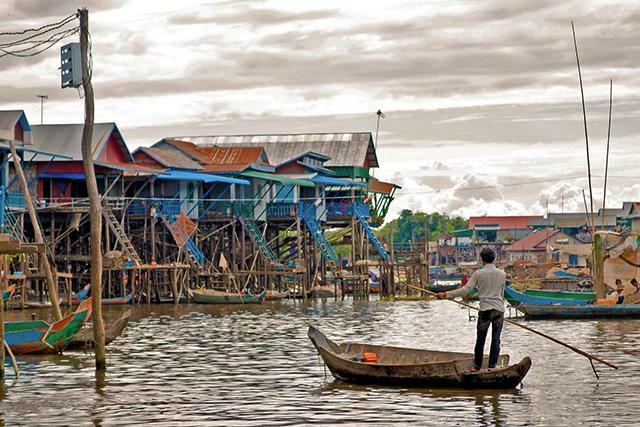 During the boat trip at Tonle Sap Lake floating village, you will obtain many experiences of general Cambodian lifestyle life on the lake such as fisherman, fish farm, floating forest, floating village, floating house and many other attractions. After finish your enjoyable tour at Tonle Sap Lake, your driver and tour guide will bring you to Battambang for check in hotel there. 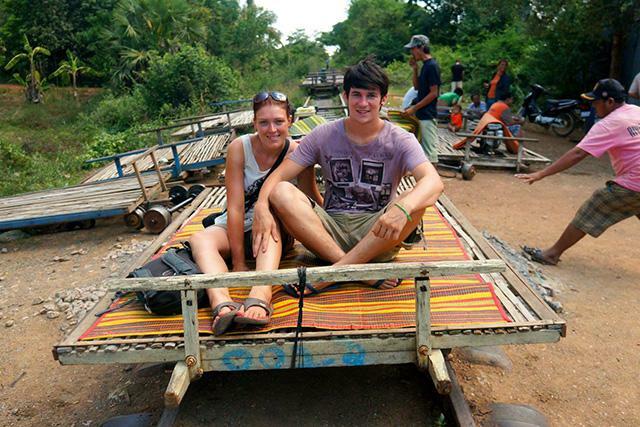 In the morning after your breakfast at hotel, you will start your trip to place which you have desired is Bamboo train. You will spend your time to ride on the bamboo train about one hour and half. 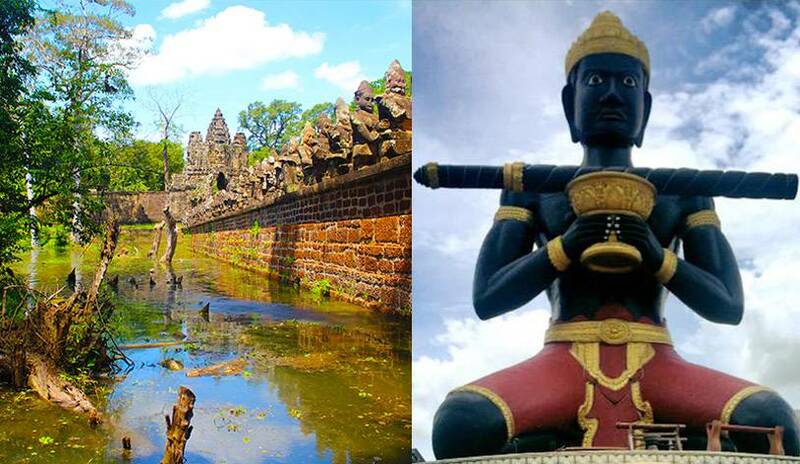 Moreover, you will get many fabulous experiences about Battambang history by our professional tour guide. You will carry on your trip to Sampov Mountain. 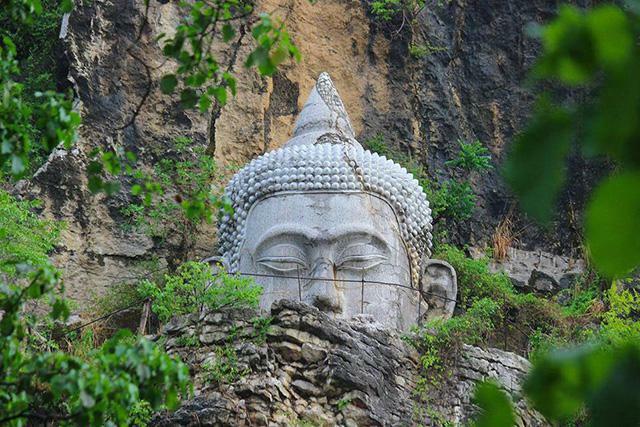 Phnom Sam Pov Temple is a hilltop temple on top of a striking limestone outcrop and watching millions of bats flying in late afternoon. In the evening, we have a hotel accommodation arrangement for you in Siem Reap and transfer you back to Siem Reap in 3 hours. Transfer you to the airport for departure flight. Note: Please be aware that flight schedule, hotels, logistics, services and days of travel are subjective to availability. If the listed hotel is fully booked, alternative hotel will be suggested. Hotel rating is rated according to local standards. Each itinerary is flexible and may be reversed to match your needs and interests. All additional information will be responded by our expertise team. After your confirmation, we need a 50% deposit of total cost from you. If you do not pay a deposit in 2 weeks after your confirmation, we will cancel your booking. We will hold your 50% payment after confirmation until your arrival or cancellation policy applied in any case. You will pay another 50% upon your arrival. We recommend you to pay through ABA Bank because it is our partner and in order to avoid high commission in transfer. Click this link for more information about payment method. If the cancellation is made 30 days prior to arrival, we will return the deposit you have paid us back. If the cancellation is made between 21 days and 29 days prior to arrival, we will charge you 30% of the deposit you have paid us. If the cancellation is made between 14 days and 20 days prior to arrival, we will charge you 50% of the deposit you have paid us. If you are not showing up for the stay, we will charge you the whole amount of deposit you have paid. We recommend to you to buy travel insurance such as cancellation due to illness or accident. You should also choose baggage insurance. You can ask for more detailed information with an insurance group. We are able to refund in case it is applied with the cancellation policy as mentioned above. The refund must be contacted with our team via email by using communication method at the same time as first serve. Usually, a refund is applied only when you submit the ticket in 30 days prior arrival. You may pay %3 of bank service for the refunded amount. All possible care is taken to make sure that our suppliers keep the highest possible standards. However, we are not responsible for the result from the booking of services that we do not directly control. 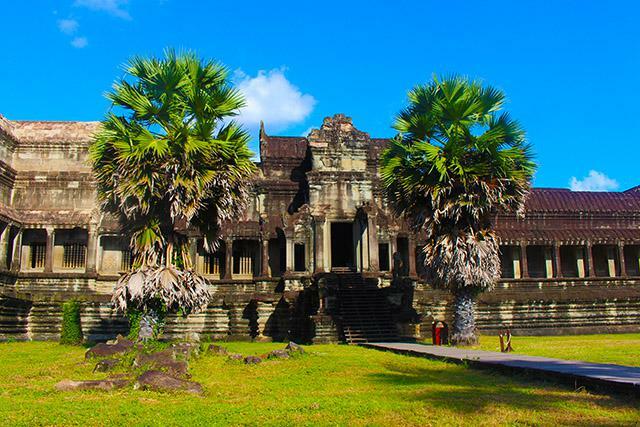 SAH Angkor Travel & Tours shall not be responsible or become liable in contract for any injury, damage, loss, delay to person or property, additional expense or inconvenience happened directly or indirectly due to any causes beyond our control. Children under 12 years old are generally paid 50% of the adult cost if they are accompanied by at least two full-paying adults and in the same room. An extra bed is fully paid as an adult cost. This information is valid at the time of carrying out but is subject to change without prior notice. However, should any changes happen, they will be posted on the website suddenly. However, should the Terms & Conditions alter after the deposit is paid, the Terms & Conditions under which deposit was paid shall apply. Any question related to this issue, please Contact Us for more explanation. Pick our service that match you interest and you may let us know to customize it. Service: Private tour guide, driver, vehicle and accommodation. You may customize this tour by let us know in the message.